Extreme personalization works… but it’s hard work. We know that the more narrowly our marketing is focused, the more likely people are to respond. The most extreme version of this is 1-to-1 marketing, which while effective, is not really scalable. Through creativity and technology, however, several companies have been able to utilize extreme personalization at scale, and in doing so, redefine their industries. Today, we’ll be looking at these companies and analyzing 5 extreme personalization examples that actually worked. The World Health Organization recently observed that more people will benefit if they follow doctor prescriptions seriously rather than focusing on development of new therapies. In fact, in the North America and the U.S. alone, over $314B is spent on medication non-compliance – more than what is spent on cancer, heart disease, and diabetes put together. Enter Michael Fergusson, CEO of Ayogo. The company has designed a platform called Empower that focuses on bringing about behavioral changes in patients through gamifications. Ayogo’s objective while designing Empower was to encourage users to take their prescriptions seriously. While patients typically care enough about their health to visit doctors when something is noticeably wrong, that motivation tends to fall off the longer they are removed from their last doctor’s visit. 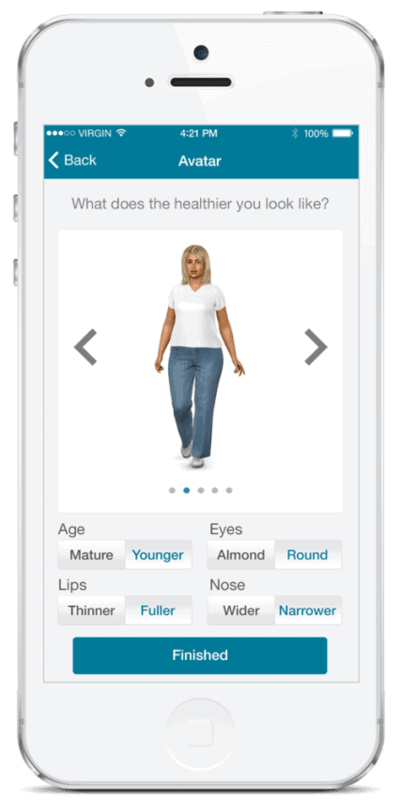 In attempt to combat this and help lead people towards better health, Ayogo developed games that have successfully prompted behavioral changes in patients, The Empower app lets users create personalized avatars that symbolize their goals and aspirations. Once the patients get their visual avatar up and running, games and virtual coaching services are available. One of the best features of the app is that it takes into account patient-to-patient networking as part of its gamification process. This has facilitated better health outcomes during various clinical trials. The Empower™ platform is currently being adapted for patients suffering from type 2 Diabetes, Obesity & Bariatric surgery preparation, insomnia, and illnesses subject to injection fatigue. In a 3rd party clinical trial , 60% of patients preparing for Bariatric surgery used the app to engage twice per day for 12 weeks. The app also helped patients easily adjust to life after their Bariatric surgery. Patients playing one weight loss game lost 17.3lbs over 12 weeks, vs just 8lbs by the control group. App users also kept the weight off for a longer period. Gamification has become a popular and highly effective way to drive engagement, and it’s often most successful in ways you would least expect. 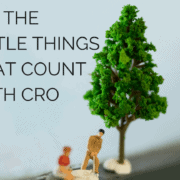 If you can find a way to gamify a typically unenjoyable activity for your customers, not only will you improve engagement and conversion rates, but you will also differentiate your brand by leaps and bounds. With Australia being one of the world’s more developed markets, growth is tough. No doubt, Coca Cola has been applying every trick in the book to capture the attention of the audience through campaigns such as “Bottle Blast” and all; however, the company never got the required traction. Partly because the Coke campaign had become extremely predictable and mostly because the Australian youth found it hard to relate to a big and iconic brand like Coca Cola. Australians are egalitarian by nature and they really like to cut people to size if anyone seemed too big for their boots. 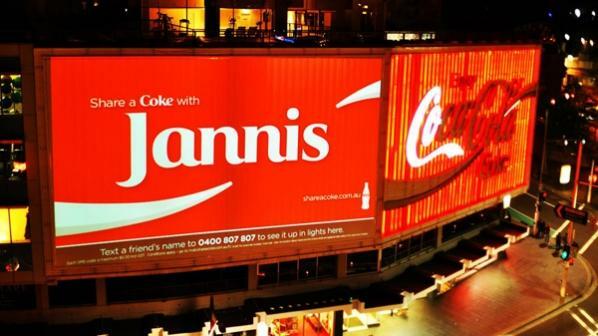 A campaign called “Share a Coke” was born that spoke to the Australian youth at eye level. 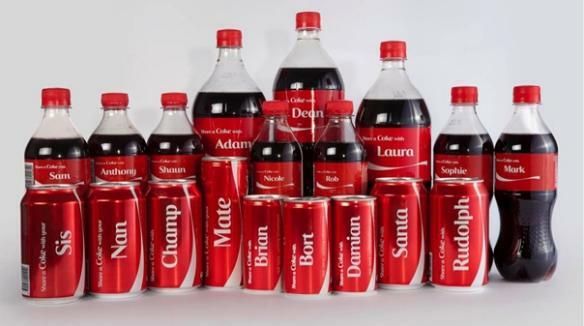 The campaign’s USP was that it swapped Coke’s branding on bottles and cans with the 150 most popular first names in Australia. When customers saw their name on the coke bottles, it created a personalized experience, even though these bottles were still mass produced. What makes Coke’s campaign so brilliant is that it combines personalization AND automation. By selecting the top 150 names, they created essentially 1-to-1 connections with millions of customers without actually needing to market 1-to-1. When someone saw a coke with their spouse’s name on it, purchased it, and presented it to that spouse, it made for a personally entertaining moment in a way you’d never expect from a soda product. Look for innovative ways to create a more personal perception even if you are still running a high volume campaign. In the interconnected, high-feedback landscape of today’s markets, customer services has become a primary selling point for brands. As per a Walker study report, customer experience is set to overtake price and product as the key brand differentiator in the next few years. Zappos, an online shoe and clothing company, has taken advantage of this shifting landscape by turning customer service into an art form. In 1999, when Zappos founder Nick Swinmurn was scouting for a good pair of shoes in a mall in San Francisco, he failed to find anything he liked. One shop had the right style. Another had the right color. The third had the right fit. Disappointed, he went home and searched online for shoes. But then again, he found there were no major online retailer selling specialized shoes. So in 1999, Nick decided to quit his day job and start an online shoe retail business. In June 1999, ShoeSite.com was born, later converted to Zappos (Spanish word for ‘shoes). 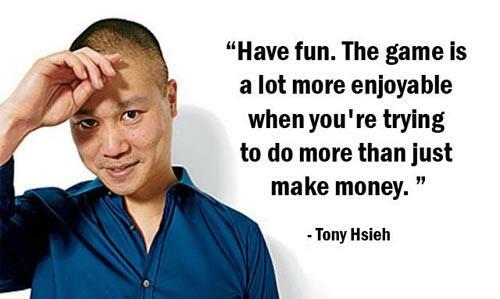 Zappos, today an Amazon subsidiary, is one company that goes to extremes to please customers. The company not only offers a wide range of shoes, but also offers free shipping both ways. So if a customer has to return shoes, they can do so freely. Some customers will even order 5 or so pairs of shoes, try them all, and then return the ones they don’t like at no charge. If that weren’t enough, the company also has an unheard of 365-day return policy backed by a full refund. But Zappos didn’t stop there. In 2004, they relocated from San Francisco to Las Vegas with the goal of building a large, high-caliber team of phone-based customer care specialists. This shift was a little surprising considering that only 5% of the sales happened through the phone. Even the company’s website real estate highly focuses on data gathering and reviews. This case study doesn’t exactly reveal how much the company benefited from the above customization policies, but the fact is there are companies that succeed by putting customers at the core of their business. With year over year growth fueled by their commitment to customer service, Zappos ended up selling to Amazon in 2009 as part of a nearly Billion dollar buyout. Customer attention is incredibly important and criminally under-emphasized. It is FAR easier to retain customers than it is to create new ones, and past customers will buy more from you when you launch new products or services. It’s easy to take customers for granted as you move on to the next sale, but you should be investing as much time (if not more) enhancing the experience for your existing customers as you do on sales or lead generation. Onboarding is one of the most critical parts of the SaaS business model. 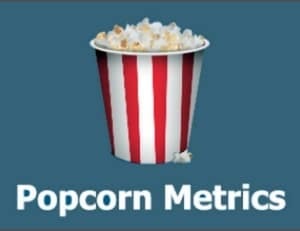 When Popcorn Meterics launched, it offered a low-cost product with a 30-day free trial to drive new users. And while initial signups were strong, very few users were converting at the end of the free trial. The company decided to overhaul its onboarding process. While the original process was focused on automation and run primarily via automated emails, the new process offered a more personalized experience that included interviews, Skype chats, videos, and tutorials. The new onboarding process was an incredibly strong success for the business, increasing total sales by 367% in just 12 weeks time. User boarding is an important part of the sales funnel, and while automation might be a priority for you, including personal points of connection can significantly increase the way users respond to your offers and engage with your product. Netlflix has always focused on the user experience, and after adding the digital portion of their service, that focus began searching for ways to enhance personalization. With an ever-expanding digital catalog, the company was struggling to display the right content to its 57 million users while simultaneously allowing them to search out and discover new content for themselves. Agreed, similar problems are faced by news sites, search engines and online stores as well. But then, Netflix had to deal with different sets of problems as well, such as interface constraints and here in this case, it’s about movies and TV as opposed to other media. 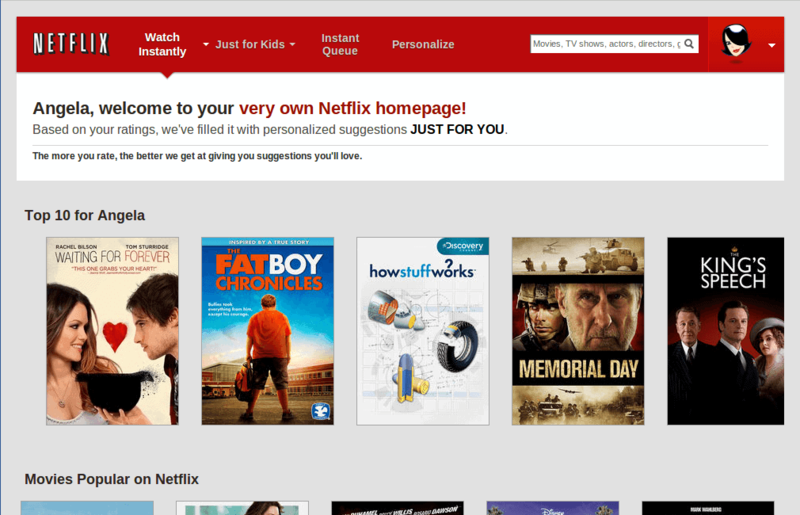 In addition to creating a specialized algorithm to send personalized content to users, Netflix also created a new dashboard layout that allowed users to scroll left to right to view additional titles within a category, or scroll up and down to browse various categories chosen based on their viewing habits. 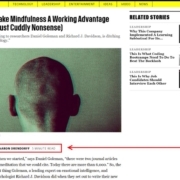 The new layout gave users greater control in browsing new titles without sacrificing navigational simplicity. Netflix welcomes individuals by name on their site. 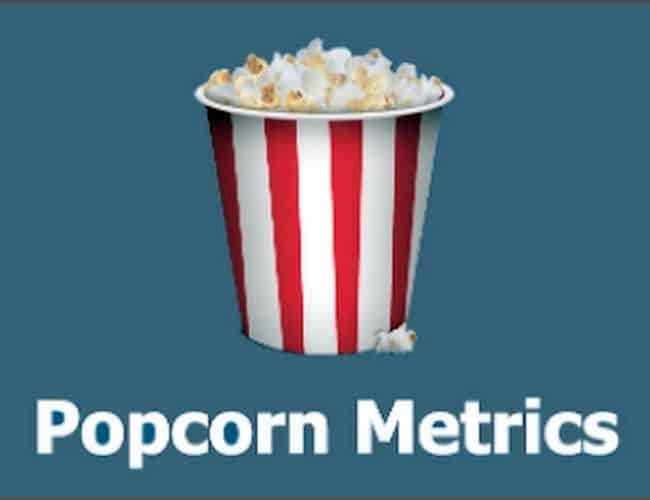 While we have no way of knowing exactly how influential this improved UI has been to Netflix’s continued growth, their stock has tripled over the last three years, which indicates their overall approach to the customer’s experience is paying off. One key takeaway here is that Netflix understands its audience’s different needs. They’ve identified three separate ways users want to engage with the platform, and they’ve found a way to provide intuitive paths for all three purposes using personalization. Sometimes users want to search for a specific title they’ve heard about. This activity needs to happen fast, and Netflix provides access to their search with just a single button click. Often, users simply want to resume shows they are in the middle of watching, and Netflix has made this easy by including “My List” front and center when you login. Finally, sometimes users just want to browse new titles and explore new shows, and Netflix answers this with an intuitive layout and navigation built around personalized content. From the above case studies you would have easily figured out that personalization or extreme personalization is not industry-specific. You could apply to any industry. The only thing that one needs to keep in mind is to study your target audience inside-out before you go ahead and apply them. What other extreme personalization case studies you are aware of? Let me know with a quick comment. Jini Maxin is a senior writer at OpenXcell, a top Mobile App Development Company. She has a masters degree in Journalism and Mass Communications and is a frequent contributor to several online publications and websites. Her favorite pastimes include reading books (fiction & non-fiction both) and introspecting. Get in touch with her on Linkedin and Twitter. Loved this article, especially #4…we use an in-app chat to help our users when they need guidance and share a scheduling link to make it easy for the Users to book interviews when convenient for them. We’ve also noticed that although our Help Desk Articles/tutorials are great, animated Gifs for quick demonstrations work best. Great article :) but many of these are not very advanced though still laudable. Netflix algo’s dont work well most of the time. If you know the maths they use youll know why. I work with a company that focus on individualised content across multiple/most channels where an ID can be probabilistically defined eg for a big retailer – now thats extreme personalisation :) not easy to do but wastes a lot less money than traditional personalisation. Really engaging article all the same so thankyou! Omg! Only Coca-cola can think like that.